You may have questions, You may be thinking about Premier Portfolio Builder to help You invest the right way. Here are the Top 101 Questions that Our clients have helped us compile. We are happy to discuss any questions You may have personally click here. Question 1) What does Premier Portfolio Builder do? Question 2) Do I have to Buy any property You present to me? Answer: No, you can decline properties, if you’re not fully satisfied and You are welcome to see current projects being carried out and get an idea for the type of properties we buy for you. Question 3) Will I be able to work out if the property is the correct price? We can show you similar properties which have sold for significantly higher values than the properties we have secured for you. Q4: Who owns the properties? A4: You. Your name is registered at Land Registry and on the title deeds. Q5: Do Premier Portfolio Builder have an Equity share of the property? Q6: How many properties do I need to commit to, to use your service? A6: Just one, we are sure of our service for you , and once you see the benefits , and know how we deal with the process, and show you the results, you will want to do more, so we do not have a minimum, it is simply One. Q6: What is my Return On Investment? A6: Between 18% & 42% Per annum.Built in equity and growth. Q7: What if I do not have funds? A7: You need to be in a position to either get a mortgage and put down a deposit, or buy cash, so you do need initial funds. Q8) Will you help me release equity from my house to provide funds to invest? A) yes, we can help you with this process, using our very capable mortgage brokers. Q9) I Cant get a mortgage, is there a way around this? A) Yes there is, another person can host a mortgage for you, and we can discuss your individual circumstances privately, and confidentially. Q10) I have no equity in my property, or no funds can I buy now? A) If you can get someone to joint venture with you who have the funds available, family and friends then you can buy, an early inheritence or a gift to you. Q11: How quickly will I have my first property? A: Depending on your personal requirements, situation and funds available to you, maximum within 3 months. However it can be much sooner depending on a property being available that fits the premier portfolio builder requirements, because you will only be offered great deals. The sooner you have agreed the services with us, the sooner we can start to build your portfolio. Q12: What cash flow should I expect? A: This Depends on the size of your portfolio, and what your goals are. Q13: I want to buy more than one property? A: That is fine, we have clients who want to. We will create a bespoke package for you to speed up your portfolio, if you have more funds and are looking to accelerate your investing strategy. Q14: Where are the properties and who manages them? A: The properties are in the South East of England. In close proximity to London with excellent infrastructure, and transport links in place connecting to London. We have a track record of buying property in this area for the past 21 years. We do not however buy out of area, as we don’t have the local contacts and experience in every UK location. Anyone who sources nationally simply cannot build up the focused relationships and have the same economies of scale, for example our refurbishment teams are local and are easily able to move from one property to another, maintenance to properties is also more cost effective. Beware of portfolio services sourcing in non growth areas and investing all over, we simply focus in an area which is for you in terms of equity, cashflow and long term growth, the most damaging aspects of property investing is out of area investing, you have the comfort of knowing that we manage the properties for you, so you are completely handsfree, and have peace of mind your portfolio is being looked after properly. Q15: Can I buy properties where I live? A: We have time, knowledge, experience and contacts in our areas,and have spent twenty one years improving our teams and systems. We have a track record for investing in this area, for many years and can do the same for you. We don’t have this all over the UK. We really focus on getting results and make you cash. Q16: How many clients do you take on? Q17: Who gets the best deals? Do You? A: We buy you the same deals we buy for ourselves, down to the same streets. We only offer what we do and would buy ourselves. We offer the deals on a queuing system, where you get offered the next deal, fairly, depending on when you joined. Q18: Can I invest in the UK if I live overseas? A: Yes, this does depend on your UK credit history, if you pay UK taxes, working capital available, your working status, and we can discuss your options that are available to you. Q19: What happens if you go bust? A: All the properties are in your name, therefore you own your assets. You are protected in the knowledge you own the properties 100%, we do not have any equity share, rents are paid directly to your account, other than our fees, we do not handle your money the control is totally with you, however you do benefit from our experience and we manage all the processes for you making Premier Portfolio Builder a totally handsfree service. Ultimately you are protected. q20; what happens if you move abroad? Q21: How long do you manage the portfolio for? A: We manage your property portfolio for between1- 3 years, depending on your requirements. After this, you can decide if you would like us to continue, choose our manage only service, manage yourself or sell.It's always your choice and only you decide. Q22) What happens after the management period, and we want you to continue managing, as we are totally happy with your service ? A) After this Period , you can decide if you would like us to continue managing your properties,by choosing our management only service. Q23: How much investment is needed to work with Premier Portfolio Builder? A: We work with clients who invest between 35 k and One Million Pounds. Q24: why do I need 40k? A: If you are taking out a 75% mortgage, this allows you to get the best rates in the mortgage market, and if we are looking to refurbish and get the property, to a rentable state, generally 40k is required, remember these are not fees, and most of this will be part payment for the property, which can be refinanced out, by using our in depth strategies of refinancing. Q25) Why is Property such a good investment? A)Property is a proven,safe tried and tested investment. You control it and own it. It produces income and long term growth, and prices are low right now,and who knows for how long? and now is the best time to invest. Q26) How do I contact you if i want to invest? Click here and leave your details with us and we will get back to you. Q27)I have some more questions I would like to ask, how should I contact you? Q28)What can I do if I am too busy to invest? Then Premier Portfolio Builder is ideal for you. We work with clients who are under pressure when it comes to time, we make a property portfolio a complete reality for them, and we build their portfolio for them, so they do not have to spend their time having to carry out all the many processes in a successful outcome what we it is completely handsfree. Q28) Do i need to have experience to invest with you? No, absolutely not, You are able to leverage our knowledge, experience and expertise as we do the whole process for you from beginning to end. Many of our clients have no property experience and that is how they want it to stay, they just want all the benefits of property investing. Q29) Do I need to have prior property Knowledge to invest with you? q30) Do i need to know about your area to invest with you? You do not need to know about our area, we provide you a document when we have a meeting to show you how quickly the area is growing and all the funding that is going in to it. At this point it is up to you, some of our investors researched the area before they worked with us, on the other hand some investors did not even come to view the properties they bought as they trusted us. Q31) how do I arrange a meeting if I want to move forward with you? When you are feel you are ready to move forward, and would like to see and hear more, feel free to contact us on 01634 838 745 or email us on: info@premierportfoliobuilder.co.uk, or ask us for a call back, and we can get a call arranged with you. The most important thing is that you are comfortable and ready to accelerate your property success. Q32) Do i need to view the property with you? Once again, this is your choice. If you would like to you can, but many investors feel that this is a waste of time, as they know we will be buying the correct properties where the figures work, and that is why they trust us. Q33) Do I pay Premier Portfolio Builder all the investment fees upfront? no, The investment Fees are all performance related. Q34) Do I Pay all the monies for the purchase, and refurbishment to you? No, The purchase, legal fees, mortgage fees etc are paid directly from you, that way you are comfortable as you have possession of your own money. However, you do provide us with the refurbishment fees, as you would not want to be paying for all the building materials separately, all the labour fees separately, because it would be much hassle, so we handle that part for you. Q35) is this a safe investment? Q36) I am Overwhelmed by various strategies, what should i choose? Pick one that is proven, one that is here for the long term. Many investors fall down because they see a carrot being dangled, however after a couple of years, that carrot disappears. What we do is provide a safe, secure, predictable, reliable and proven strategy, that works every time. Q37) Which Portfolio building Company should i choose? Also You want to choose a portfolio building company that is investing in the right area. Q38) should i Work with a portfolio building company ? Because you are able to leverage us and accelerate your results. Q39) Why should I get Premier Portfolio Builder to build my Portfolio? Because you are able to leverage us and accelerate your results. We provide you with all the benefits of property investment, without you having to put any effort in to the process. Q40) Do Premier Portfolio Builder have a limit on the number of clients they take on? Yes, because we believe in providing the best quality, we take on a maximum of 3 new clients each month, and we roughly buy up to half a million pounds of property each month for our clients. Q41) Do Premier Portfolio Builder Deal with someone who has funds of only 40K? Q42) How much can i invest with Premier Portfolio Builder? There is no limit, we have an array of investors, who each have different funds available. We sit down at a meeting, and work out a plan according to the funds you have, and we go from there. Q43) Do Premier Portfolio Builder invest in a good area? Absolutely. The area we invest for our clients, is the same area we invest in ourselves. It is an area with high tenant demand, near london, good infrastructure, and a lot of government funding is going in to the area. Q44) How do i know if Premier Portfolio Builder are charging me the correct fee? The value you receive is always more than the fee, your time saving, cost saving, mistake saving, etc so that is how you can calculate whether the fee is right. Q45) Should i be worried if another portfolio building company is charging more than Premier Portfolio Builder? The question you should ask is why are they charging more? if they are charging more so that they can cover their costs for their big glossy brochures and heavy marketing, you don't want to be paying extra for that. Q46) Do Premier Portfolio Builder have a track record? Q47) Can i see some testimonial from Premier Portfolio Builder Clients? Yes, they are on our website, and you can also email us to ask for even more. Q48) How Do i check Premier Portfolio Builders Record? You would do this by speaking to people about us, speaking to people who have and are investing with us, and by seeing the projects that we do. Q49) Why should I check out a Portfolio Building company before i invest with them? To make sure there is a match and you are comfortable with what they do. What we say is for you to assess us, check us out, if you want a meeting an are ready to move forward, have a meeting with us. There is no money exchanged, it is just to see if what we offer, is right for you. Q50) Are the team at Premier Portfolio Builders investors themselves? Yes, which is why we know what we are doing. The Founder Kam Dovedi has over 25 Years of experience in Property Investing, starting at just the tender age of 18. We are lead by him, as he is someone who knows exactly what to do. Q51) Will the Team at Premier Portfolio Builder buy the correct property? Yes. In order to get the correct tenant, we have to invest for you in the correct area, which means we get the correct property for you. Q52) Do Premier Portfolio Builder have their own letting agency? Yes we do, you can choose to let it with us, or we provide you other very good letting agents in the area, who manage some properties in our won portfolios. Q53) Who manages the Refurbishment? We do, we have a project manager who deals with the 4 refurbishment teams we use on a continuous basis. Q54) How do i find out if a portfolio building company is credible? Ask for testimonials, Read about them, check out the founder. Q55) Should I Invest with a large portfolio building company? A Large portfolio Building Companies dealing in multi million pound investments are often faceless organisations, for who you are just another number. Can they cater for your niche personal preferences as they are so large? They are really too big to be caring about the detail. Q56) Should I Invest with a one man band just starting out building portfolios? You may be their only client, they may offer you unrealistic returns as they have no experience. Be Warned. Q57) Where does Premier Portfolio Builder sit in the spectrum of Portfolio Building Companies? When choosing a service , you want to know its a team not an individual, at the same time you want them to be small enough to care about you needs, headed by someone with many years of experience, and a dedicated team. That is where Premier Portfolio Builder is placed. Q58) How expensive is your service? Once we have our meeting, and show you how it works, you will see that our performance related investment fee is negligible compared to the service you receive. Q59) Are your services flexible to what i require? Q60) Why Does it matter Where i invest in the country? It depends on whether you are looking for cashflow, or capital appreciation, where we invest on the edge of London in the south east, you get both cashflow and capital appreciation. Q61) Why should I be concerned by really cheap portfolio building services? A: at the end of the day, you do get what you pay for. At Premier Portfolio Builder all of Our costs are completely transparent, there are no extras we go above and beyond the call of duty. Q62) Why should i be concerned if the price of the service is too expensive? A: Organisations who charge absolute fortunes, and charge a great singing and dancing presentation, they will charge huge upfront fees for their services, this is unacceptable. However, because they spend a lot on marketing they may seem worthy of investing with, however in reality, their costs are incorporated in the fee that you pay. Q63) Why do i need to look for value? A: You need to look for the price you are willing to pay for an excellent service, while if the price is worth the service, a rule of thumb is to see if you were to use their service or if you were to do it yourself, what time saving is there? and equate this to a figure, for example, if you are paid £20 an hour, and it takes you 100 hours to do one deal, that has cost you £2000. Then you would look at what are the portfolio building company able to do better than you, in terms of Correct Investment purchases, discount on refurbishment, savings on void periods, and savings on loss of rent. If the value of the savings is more then the service is good value for money. Q64) Which Package should I start with? Which ever package you are comfortable with, each package is in fact tailored to you, but you are welcome to test us and go through the process of one property first. On the other hand, other investors, want to begin immediately and start with maybe 10 properties, because they trust us, they like our model, and have heard about our reputation. Q65) why would i want to build a property portfolio? There are many reasons, Passive income, Capital appreciation, Property as an Asset class. But what property really gets you is time, freedom, and choices. Q66) Is property better than other investments? Yes, What other investment has a proven track record for hundreds of years, can get you income without having to sell the asset, and grows in value at the same time. Q67) What will investing with Premier Portfolio Builder Do for my Future? Ultimately, Many people want security, which is what we provide. Having a passive income, having capital growth, means your financial future is secure. Q68) Will Premier Portfolio Builder Help with the remortgaging of the Property? Yes, when you are ready to do the next one, and need more funds we can do this. Q69) Why do I need to build a medium to long term portfolio? Prices move up and cashflow is continuous. Q70) What other Advantages are there of using Premier Portfolio Builder? A: everything happens quickly, everything is done correctly for you, everything is done efficiently for you, your time involvement is minimal, you control the decisions. Q71) what is the advantage of Premier Portfolio Builder doing it Quickly for me? Time saving, and faster results ,meaning more income for you more quickly. Q72) what is the advantage of Premier Portfolio Builder doing it correctly for me? Saves thousands in costs, and thousands in expensive mistakes, as well as a massive time saving. Q73) what is the advantage of Premier Portfolio builder doing it efficiently for me? You receive cost savings, and economies of scale, which means you get the maximum amount you can get for what you put in. Q74) What is the advantage of minimal time involvement? You can spend time doing what you really love, while we are handling all the day to day tedious and time consuming processes you would not want to be involved in. Q75) what is the advantage of me controlling the decisions? You are in control, therefore you feel more comfortable. We do not force you in to anything, we make sure your are comfortable and are ready to begin, only then do we move forward. Q76) What will I need to be involved in the purchase process? Q77) Will i need to be involved in the refurbishment dealing with builders? No, we handle all of that for you. Q78) will i need to involved in finding the tenants and vetting them? no, we have a 43 point checklist the tenant must pass before they even enter your property. Q79) Will i have to be involved if there are any maintenance issues? Q80) Will this interrupt my life? 100% no, the advantage of Premier Portfolio Builder, is that you receive the benefits of proeprty investing without having to be involved in it yourself. Q81) What can go wrong? Nothing, We might get you more cash flow or more capital appreciation than expected. Why's that? because we are very very conservative with our figures, and make sure what we promise, is something we can deliver. Q82) what are the risks of me working with you? No Risks, using a proven model, many people have successfully been through, where everything has been on time and in budget, there are no risks. Q83) How quickly do I need to make a decision of when i'm ready to start? That is up to you, we only take on 3 new clients each month, so a slower decision would just mean that you start later than someone who decided early, as the months get booked up in advance; which just means you will have to wait longer for passive income, and capital growth. Q84) What if I wait? To be honest with you, you do not want to wait. You wait 6 months, and you may have lost your self £10,000 in property growth. So the earlier you begin the better it is. Q85) Can i reserve a client place? Yes, as soon as you have commited, your place is reserved, and no one can jump ahead of you. Q86) What do I get when i work with you? 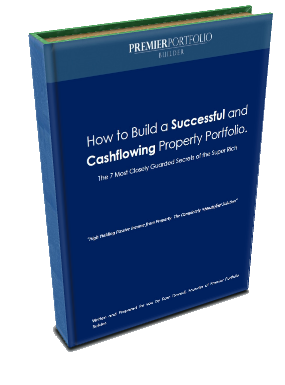 All the benefits of Property investing, without the pain. You get time saving, passive income, cost saving, capital growth. without having to do anything yourself, which is why we say it is "Your Completely handsfree Solution"
Q87) is this a get rich quick scheme? No, if you are after a get rich quick scheme, with returns in two weeks, this is not for you. If you are looking for medium to long term, so 12 months onwards, this is for you. Q88) Does this sound too good to be true? To many people yes, which why they choose us. Q89) Do i buy the first Property Presented to me? Once again, this is up to you. Each property we buy has been through the checklist, and is always a great investment Property. Q90) Who goes and sources the deals for me? Our acquisitions Manager, who is hand held by the founder. The Acquisitions manager is given a checklist, to make sure that your property is the correct investment property. Q91) How long does it take to refinance? The Market is always changing, at this point in time it is 6 months, but depending on your strategy, you may choose to refinance between 6 months to 24 months. Q92) How do I know the refurbishment has been done to an acceptable standard? Q93) Do You show me the refurbishment cost? or is there an estimate i can take in to account? We provide you with an estimate, with a contingency. This will include a breakdown of all the costs of the materials so that you can see it clearly, and know what you are paying for. Q94) can i see some of the deals Premier Portfolio Builder has completed? Yes, we provide you a deal analysis when we meet. Q95) What happens when my portfolio build package has been completed for me? It is up to you, you can either go again if you want more, or you may be happy with the results from your first Premier Portfolio Builder Package. Each Client is different, and we take that in to account. Q96) Is there an opportunity to JV on other projects? yes, but by application only. We get many requests for joint ventures, but we always make sure there is a match first. Q97) How do i know how well my Premier Portfolio Builder Portfolio is Performing? We Provide you with quarterly performance reports. Q98) What are the next steps I need to take to do a portfolio Build with Premier Portfolio Builder? Contact us on 01634 838 745 or email us at: info@premierportfoliobuilder.co.uk, from there we arrange a meeting, and if you like what we do and you are happy, we then go from there, and accelerate your property success. Q99) Do you charge a management fee after all the work has been done? Lettings and management is one thing all together, and just like an good letting agent, we have small percentage. Q100) Will I be charged when you find a tenant for me, or for the sourcing of the tenant? No, this is all done for you by us, using our marketing teams. Q101) I have more questions to ask, How can they be answered?